Description: MAMBI DIY Gallery Art Pads include printed sheets of wonderful art designs to decorate your home and office. 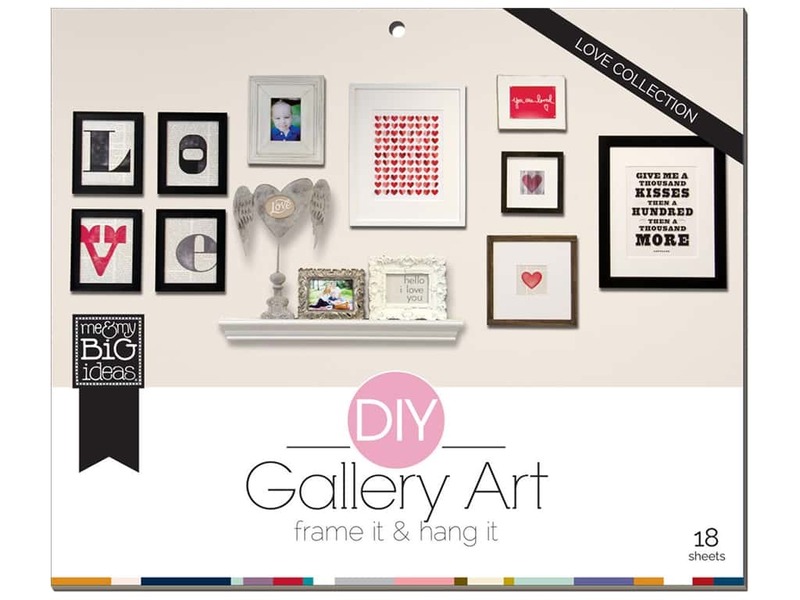 Great to create an entire gallery wall, frame individually or gift to a friend. Love- 18 art print sheets, sizes are 4"x 6", 5"x 7", 8"x 10" and 11"x 14". There are designs of hearts, newsprint, wood grain, chevrons, captions of "All You Need Is Love", "Do All Things With Love", "You Are Loved", "Follow Your Heart", "Live & Love", "Hello I Love You", and more. Colors include Red, Coral, Blue, Grey, Pink, Charcoal, Cream, Black and White. MAMBI DIY Gallery Art Pad Love -- CreateForLess 5.00 out of 5 based on 1 ratings. 1 user reviews.